The rate increase indicates that the U.S. economy has grown to the point that it no longer needs federal assistance and consumers and businesses can afford to pay more to borrow. But for the vast majority of card-carrying consumers, rates are about to be higher than they were before the 2008 financial crisis. Most credit cards have rates linked to the prime, so rates are going up 0.25 percentage points on most of the $923.6 billion in consumer revolving debt reported by the Federal Register for the month of October 2016 (which is the most recent month on record). The average credit-card balance per person and per card is about $7,500, which totals a measly $18.75 extra in interest yearly. However, the average person carries a total of $16,748 in credit card debt at an average interest rate of 15%. So when it’s all said and done, the average consumer will pay in the neighborhood of $40 extra in credit card interest per year. • Home Equity Line of Credit (HELOC): A $30,000 line of credit will cost you $75 more in annual interest. • New Car: Financing a $25,000 car will increase by about $3 per month. • Mortgages: A *new mortgage on a $200,000 home at a 4% annual percentage rate (APR) could run you an additional $720 a year if all three rate increases happen as anticipated. **Note— long-term mortgage rates are not tied directly to the federal interest rate and may not be affected by an interest rate increase. Individuals carrying an adjustable-rate mortgage (ARM) are the ones most likely to be impacted by rate hikes. 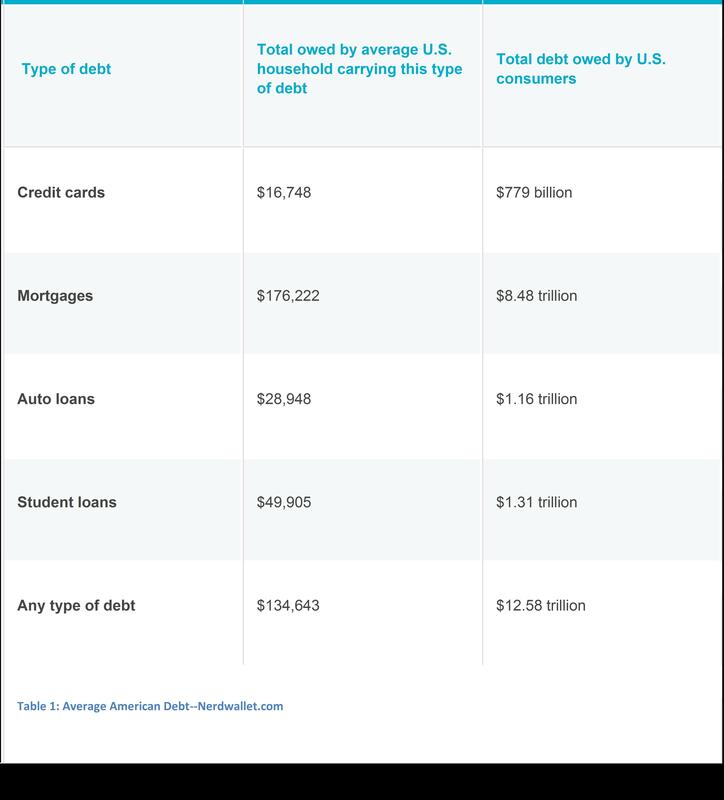 These numbers alone may not seem like much but when you consider the total debt the average American owes–the numbers begin to add up pretty quickly. Rising rates means a longer repayment period for consumers. As the payback period stretches out and the interest rates increase, the risk incurred by lenders also increases. The result? Terms of credit will probably tighten and people with less than stellar credit may find themselves cut off from access to “cheap” or easy credit. • Use the Debt Dash or Debt Snowball to pay off debts quickly: Order you debts from least to greatest based on the balance and begin aggressively paying off the debt with the lowest balance first. Once that one has been paid move to the next lowest balance. Rinse and repeat until all of your revolving debt is paid. Research shows this is the most effective and efficient method for paying off debt. • Try to lock in lower interest rates: Experts agree that doing what you can to lock in lower rates now will save you thousands in the long run. They also suggest those with ARMs to consider moving to a long-term fixed-rate mortgage as this may help provide stability and aid in the budgeting process. • Don’t be late: This is just good advice–rate increase or not. Paying late or missing payments can be disastrous as most credit card companies levy hefty late penalties and jack up interest rates to the tune of 30% for one tardy payment.